Is Larry King A Secret Communist? We have to sadly keep the watchful eye of Joseph McCarthy on media legend Larry King. Recent evidence from our team of crack cultural protectors suggest that Larry King is working for a tv channel that was funded by none other than the Kremlin. While it is no shock to learn that Democrats are communist by their very philosophy, it is an entirely new low to think that an American would dare work for a government that tried to sneak missiles into Cuba, so that they could nuke our fair, gentle country again and again. Larry King has made no response to the article or allegations that he may be a pinko, but look at the shirt he is wearing. Perhaps the proof is in the pudding. 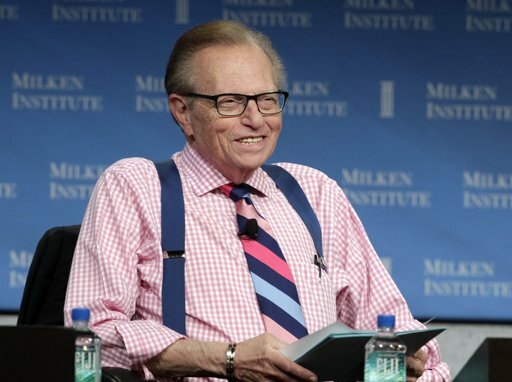 Even the tie Larry King has chosen for himself is striped with communist salmon.